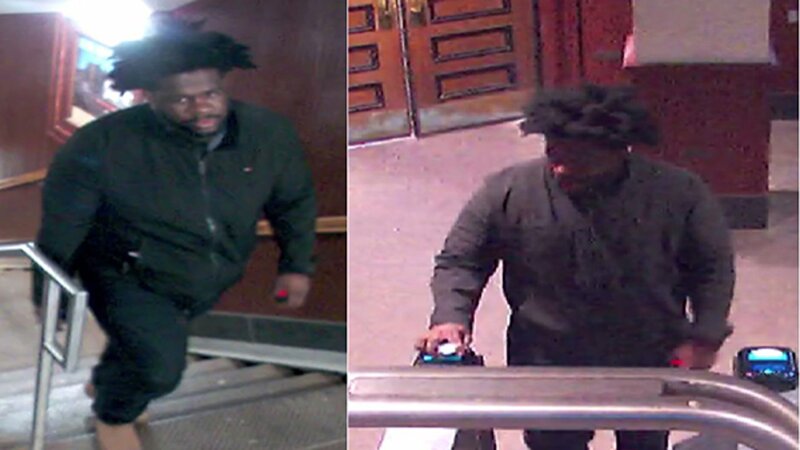 CHICAGO (WLS) -- Chicago police are searching for a suspect caught on surveillance video who followed, attacked and robbed a woman from the Damen Blue Line stop in Wicker Park early Sunday morning. Police said shortly before 3:30 a.m. the suspect followed a 23-year-old woman from the Blue Line CTA stop at West North Avenue and North Damen Avenue to the 1600-block of North Bell Avenue. The suspect then grabbed the victim, dragged her into a gangway, and beat, robbed and forcibly disrobed her. Police describe the suspect, who was also captured on surveillance video at the CTA stop, as a black male between 20 and 25 years old, approximately 5 ft. 7 in. and 150 to 160 lbs. The victim was taken to St. Mary's Hospital to be treated for minor injuries. If you have any information about the suspect contact Area North Detectives at 312-744-8263.